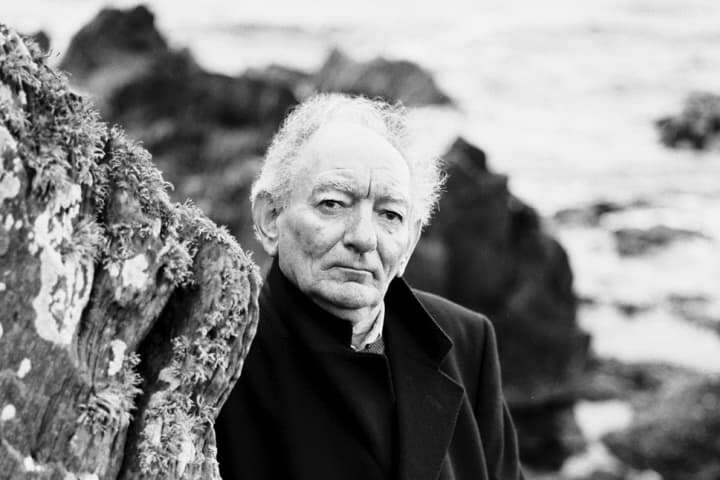 To complement the Faith Healer Education Packs, these revision activities will assist you to analyse further Brian Friel’s magnificent series of monologues. From your reading of the playscript, what contexts are evident? How does the onstage world capture these contexts? Revisit the Education Pack – Part B (page 5) for more information about context and the world of the play. Consider the opening moments of Part One (Frank’s first monologue), from the stage directions The stage is in darkness, to Frank’s line ‘Aberhosan, Aberporth…’. 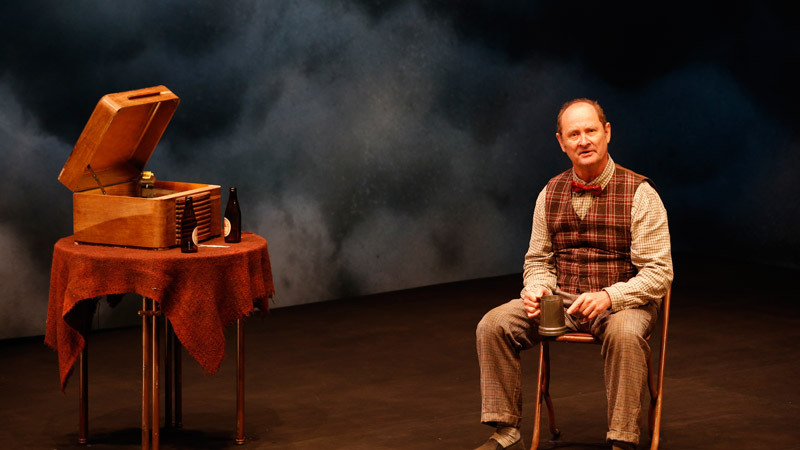 How was one area of stagecraft applied to interpret context(s) from the written playscript? From your reading of the playscript, what information about Grace’s character is evident? Choose some key lines from the play as evidence. From your reading of the playscript, what themes are evident? Choose some key lines from the play as evidence. Revisit the Education Pack – Part B (page 24) for more information about themes in the play. What props were part of the onstage world in Grace’s monologue? 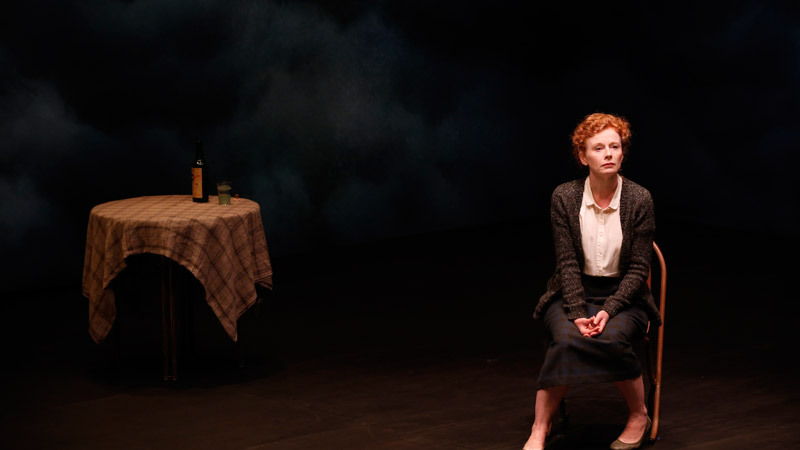 Consider the opening moments of Part 2 (Grace’s monologue), from the stage directions We discover Grace Hardy on stage… to Grace’s recitation of places names ‘Llandefeilog, Llanerchymedd…’. 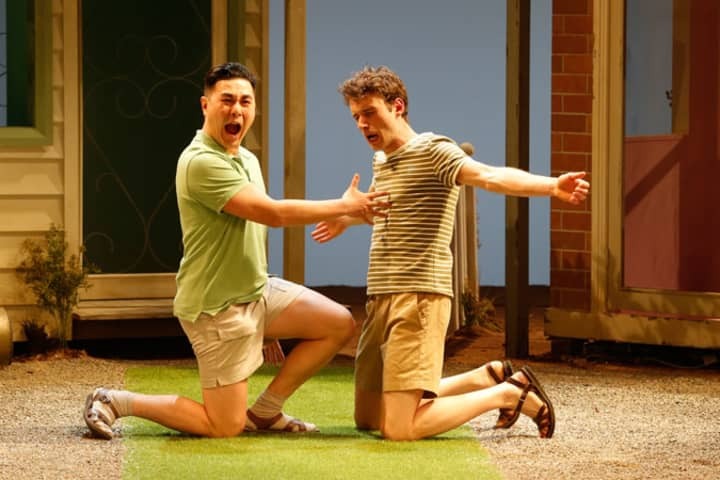 How was acting and one other area of stagecraft applied to interpret this section of the written playscript? From your reading of the playscript, what information about Teddy’s character is evident? Choose some key lines from the play as evidence. 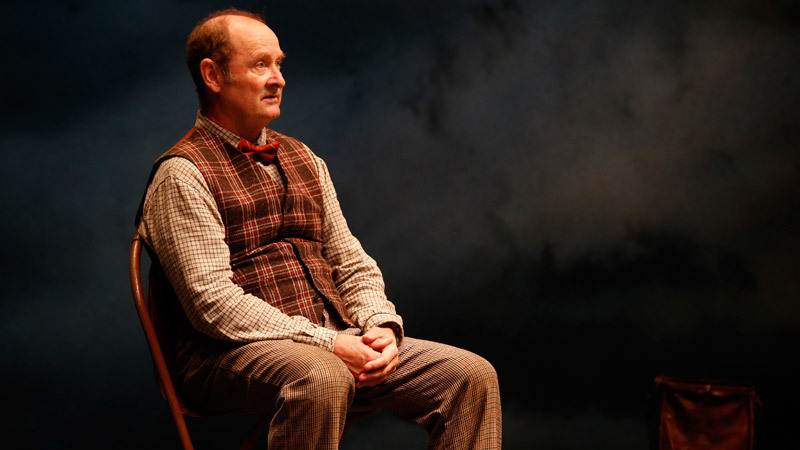 How does the actor Paul Blackwell embody the character of Teddy? Revisit the Education Pack – Part A (page 12) for more information about acting, characterisation and language for Teddy. Consider the opening moments of Part Three (Teddy’s monologue), until Teddy’s line ‘And the way you look tonight…’. Evaluate how acting and the stagecraft area of costume were applied to interpret this section of the written playscript. From your reading of the playscript, what information about props is evident? Choose some key lines from the play as evidence. 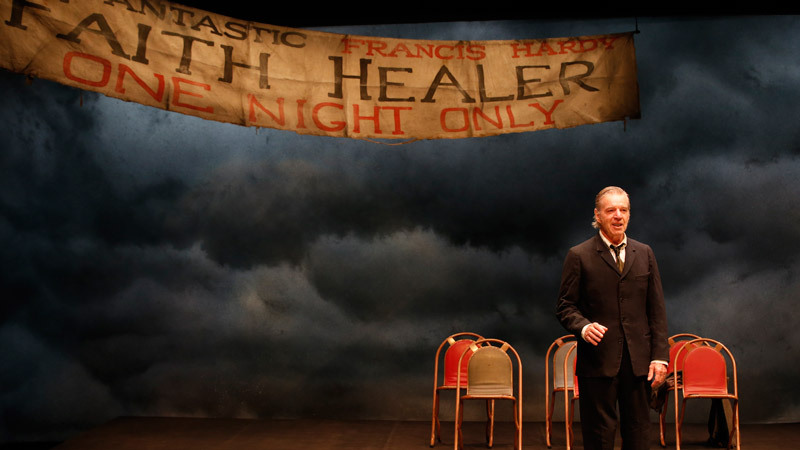 What props were used in Part 3 (Teddy’s monologue) of Faith Healer? Revisit the Education Pack – Part B (page 17) for more information about props, characterisation and language for Teddy. Consider this moment in Part Three: from Teddy’s line ‘Tell you what – why don’t I go back twelve months…’ to ‘I spent the whole of that night just watching them’. Analyse how two areas of stagecraft were applied to interpret this section of the written playscript. From your reading of the playscript, what information about Frank’s character is evident? Choose some key lines from the play as evidence. 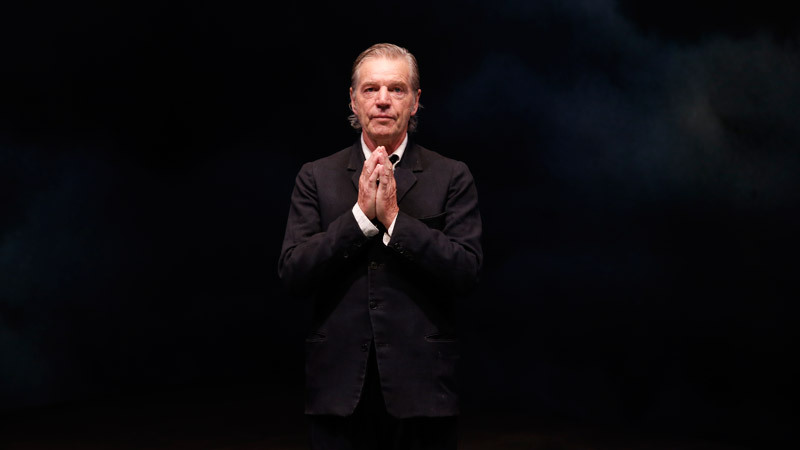 How does the actor Colin Friels embody the character of Frank? Revisit the Education Pack – Part B (page 11) for more information about acting, characterisation and language. 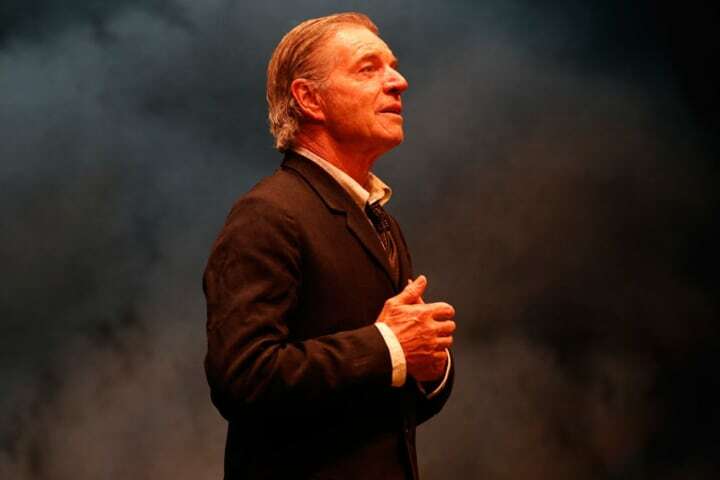 Consider the final moments of the play, from Frank’s line ‘And as I moved across that yard towards them…’. 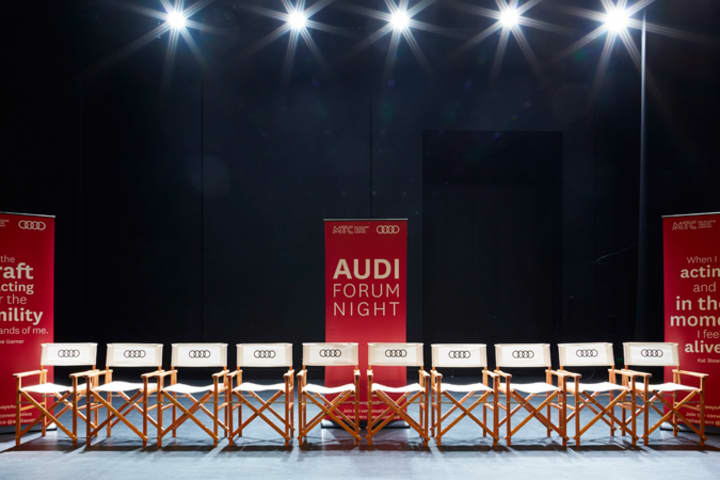 Evaluate how acting and the stagecraft area of lighting were applied to interpret this section of the written playscript. Want more revision resources? 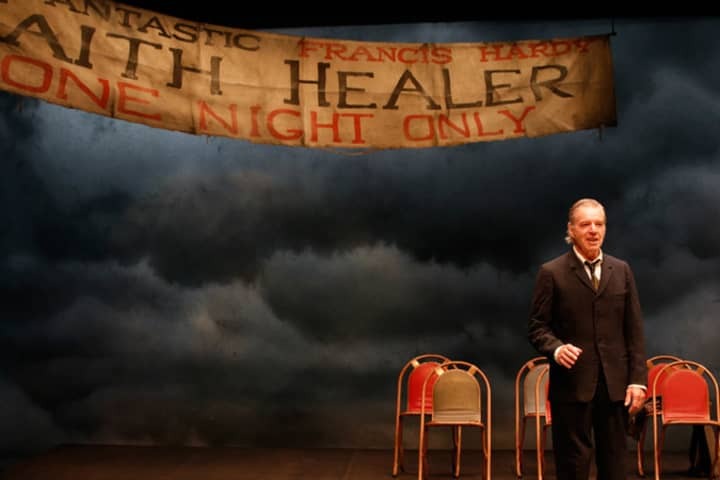 Click here to access all our Faith Healer Backstage articles, and revisit the Education Packs here. Remember to always consult VCAA documents when preparing for your VCE exams.